What is an illegal loft conversion? 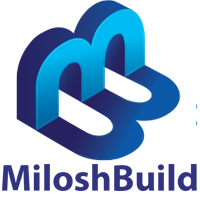 Milosh Build / Loft Conversions Brighton / What is an illegal loft conversion? This is a property where a loft conversion was built without planning permission or building control. It is crucial that you work with a licensed loft conversion company in Brighton to avoid this scenario. You could be fined a hefty sum or made to spend thousands of pounds on renovations for an illegal loft conversion. What approval do I need for loft conversion? How much will planning permission application cost? What does a planning application contain? How long does planning permission last? Can I change my plans after getting planning permission? What happens if my application is refused? What is EIA how why does it matter? How long does it take to get planning permission approval? Who gives planning permission approval? Why do I need planning permission? Will there be any disruptions to my home during construction? How long does it take for plans to be approved by council? How long does planning take? Is it possible to do a loft conversion in a conservation area? What are the permits and building regulations for a loft conversion? What if I have boilers and water tanks? Do I need fire doors and smoke detectors?